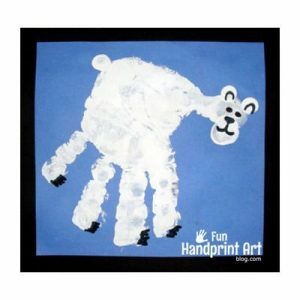 Let’s make a handprint groundhog craft with puffy paint snow! 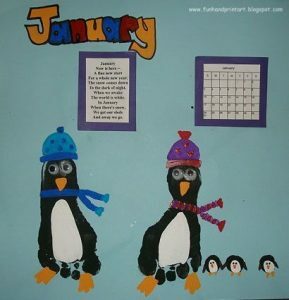 Perfect for preschoolers and kindergartners who are working on a Groundhog Day unit in the classroom. 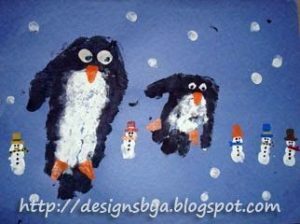 This was a fun mommy and me craft that my son and I created together at home. 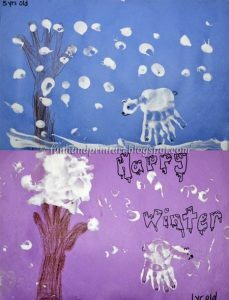 The puffy snow paint is easy to make, but cotton balls would be a great alternative if you’d rather not use paint. First, Big Brother painted his hand brown. 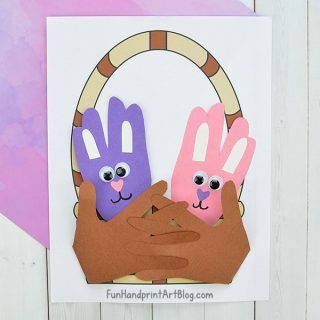 I showed him with my hand how to press it down with the fingers in a closed position (touching each other) with the thumb in an open position (separate from the fingers). Once it dries completely, I drew the outline of a groundhog as well as the facial features. 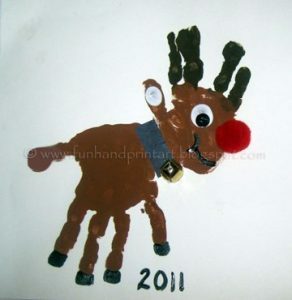 Kids are welcome to do this part and even use a googly eye if you have any on hand. 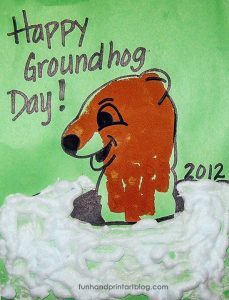 Around the bottom of the groundhog, I drew an oval to resemble the hole he was peeking out from. 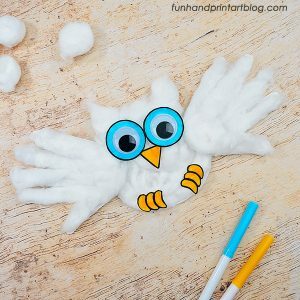 Make the puffy snow paint by mixing equal parts of shaving cream and white school glue in a small cup. 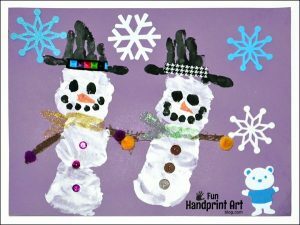 Big Brother loved painting snow around the hole with the homemade puffy paint. 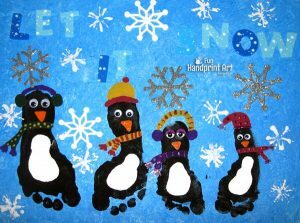 When dry, it makes a fun texture that’s slightly raised on the paper, creating a 3D look. 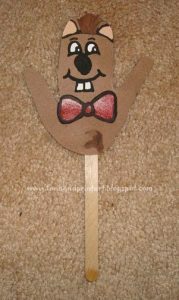 You may also enjoy this easy paper plate groundhog face we made along with our handprint groundhog craft. 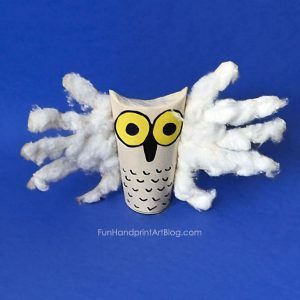 That is adorable- love it! That&#39;s so cute. 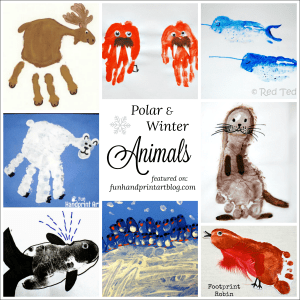 We made a fotprint groundhog (not posted)- but I like yours better! This made me smile this morning. Real cute. Hope your groundhog didn&#39;t see his shadow! Thanks ladies! 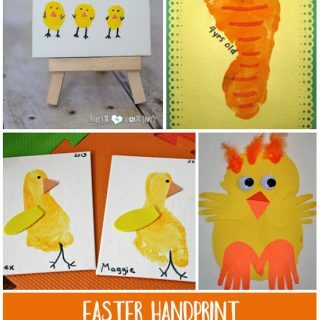 Lovely Crafts- Your handprint crafts are always gorgeous, can’t wait to see it! 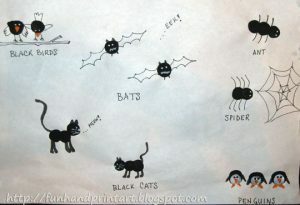 This is so cute — I need to save this so I can do it next year for Groundhogs day with my kids. 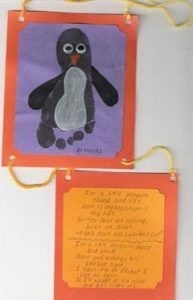 We always celebrate Groundhogs day too — this year we didn’t do a craft but Magic the Magnificent (Guinea Pig) made her prediction :-)& Thanks for the fun idea!